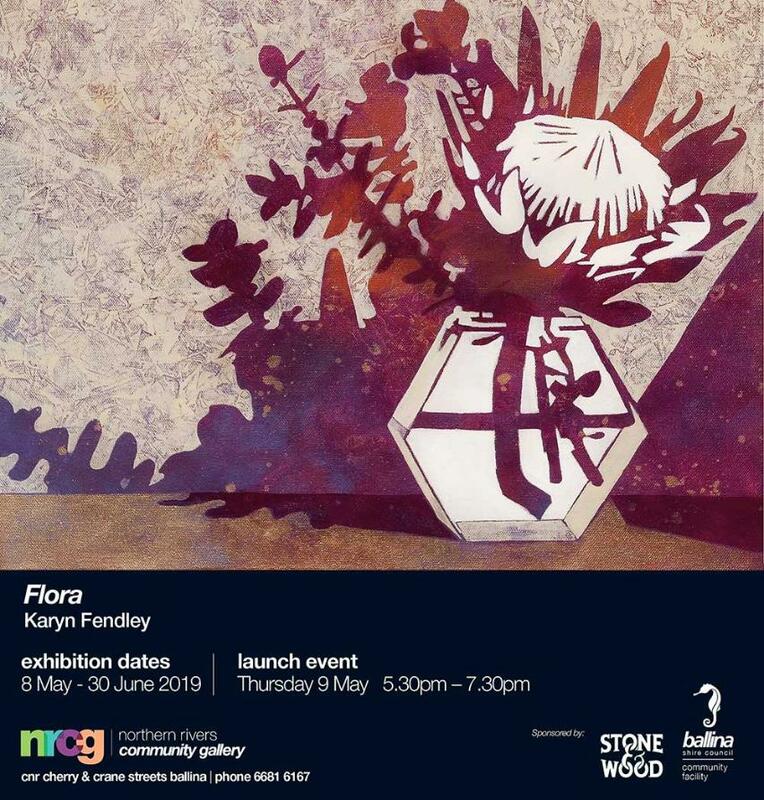 Landscape artist Karyn Fendley’s fascination with silhouettes and shadows continues indoors in this exhibition of still life paintings, that explore extremes of lightness and darkness, and the transient liminal spaces created by shadows. Silhouettes of flowers and foliage contrast with the simple geometric shapes of vases, tabletops and bright windows in this suite of modernist still life paintings that bring together botanical and manmade forms. “I hope share my experience of the natural world through my artwork. I believe that while contemplating nature, we become aware of our own small place in the world, bringing a little perspective into our lives.